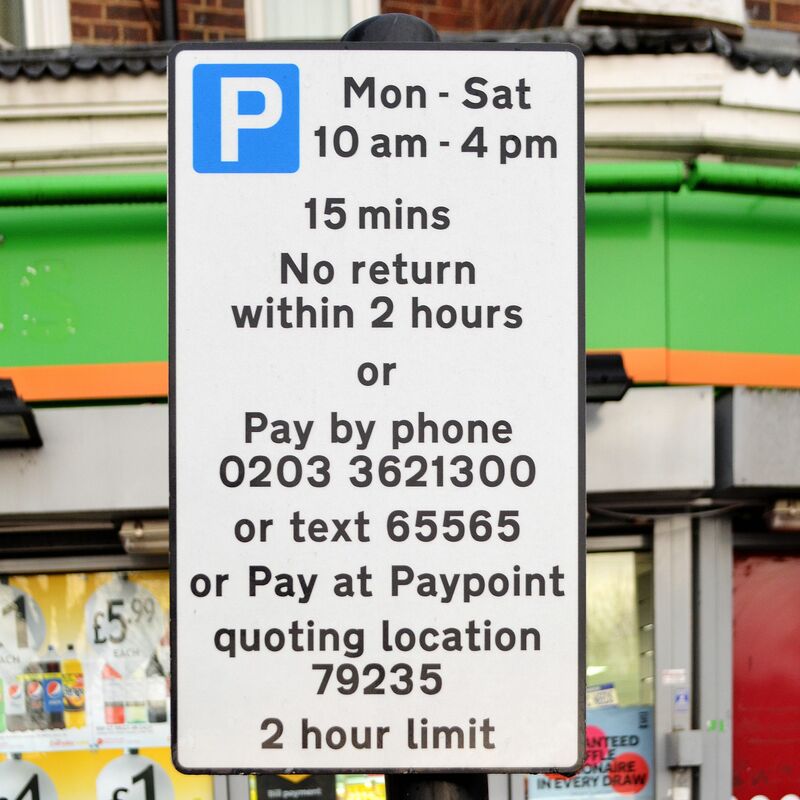 The Council ‘U turn’ on 15 minute free parking time at the shops means that it will stay. The 15 minute free parking at the shops was originally introduced to allow shoppers to “pop and shop” as required. The Council tried to reduce the 15 minute “pop and shop” time to 5 minutes across the borough and replace it with a single 1pm to 2pm free hour. Now we keep the 15 minutes and also get the 1pm to 2pm free hour. These meetings are a fairly rare occurrence. They can be called by any of the Councillors to ask questions of a portfolio holder and his Officers on the decisions of the Cabinet. The scrutiny committee check Council decisions to ensure that they are practical, fair and being made in the best interest of the community. The scrutiny committee consists of the Chairman Cllr Gerry Lyons, Cllr Simon Miller (Vice-Chair), Cllr Millie Balkan and Cllr Karen Bellamy. Also present was Cllr Matt Davis. They were questioning Cllr Clyde Loakes and his Officers (Michelle [who wrote the report for Cabinet] and Karen Naylor). There were five speakers from the public and five ‘visiting’ Councillors. The ‘visiting’ Councillors are LBWF Councillors and included John Moss and Sheree Rackham. There were other various Officers present. There were about 30 member of the public in the gallery. Well that sets the scene. The five speakers from the public spoke first. They were all against the scrapping of the 15 minute parking (replaced by 1 hour from 1pm to 2pm) and the implementation of cashless only parking system. All argued their case well. The local businesses were well represented. Each was allowed 3 minutes to speak and each received rapturous applause from the public gallery. The concerns expressed were about the loss of “pop and shop” trade (people would shop elsewhere), loss of convenience to shoppers, effects on infirm residents and problems for the elderly of the withdrawal of vouchers and the cashless system. There were calls for the 15 minutes free parking time to be increased. The five ‘visiting’ Councillors spoke next. They made the points that were more technical. The first to speak was Cllr Alan Siggers, he was against the proposal as there was no justification given for the withdrawal of the 15 minutes and a total lack of consultation. Other ‘visiting’ Councillors spoke about the lack of consultation as a huge issue and the effects on the elderly, Cllr John Moss refereed to the documentation as being misleading and needs to be clearer. Cllr Nick Halebi referred to the Governments 10 minute grace period (introduced to stop Traffic Wardens issuing tickets the instant the time expires). He said this follows a period of paid parking not a free period. Each was allowed 3 minutes to speak and each received rapturous applause from the public gallery. Cllr Clyde Loakes replied claiming that he introduced the 15 minute ‘pop and shop’ but that the 15 minutes had been increased to 25 minute by the effect of the Governments recently introduced 10 minute grace period. He said that cashless parking was the norm and that the cost of paper vouchers had to increase to reflect their true cost. The Council had received a deluge of emails on these topics, particularly for the North of the Borough. Cllr Matt Davis questioned Cllr Loakes about the fact that he (Cllr Loakes) had assured him (Cllr Davis) that this was not going to happen but thereafter refused to reply to any of Cllr Davis’ communications on the matter. In reply to this allegation Cllr Loakes said nothing. Cllr Davis pressed him repeatedly but Cllr Loakes remained silent. The deadlock was broken by a ‘point of order’ (The scrutiny committee was there to examine the 15 minute parking issue and not this issue). What consultation was undertaken and where is the evidence. What studies were undertaken on the economic affects of this and where is the evidence. What is the economic justification for the 1pm to 2pm and where is the evidence. What investigations into adjoining boroughs (particularly outer London) and how they handle parking and where is the evidence. (Reference to other boroughs have equal or longer free parking times). Where is the equalities evidence concerning the effects on older people. Where does the £74,000 figure come from (as the cost of implementing the new scheme). What the economic effects on business rates and where is the evidence. Cllr Clyde Loakes then proceeded to avoid answering Cllr Davis’ points. Cllr Loakes was not impressed by the arguments that elderly people were not as technologically aware. Cllr Loakes said the he was in favour of the 15 minute free period plus the one hour 1pm to 2pm free parking but the 10 minute grace period had made this impractical. Cllr Loakes called on Michelle who wrote the report for Cabinet. She said parking is now not clear. Everybody likes the 15 minutes but the extra 10 minutes was an issue. The normal 21 days consultation period for Traffic Orders will be extended to 28 days in this case. Equalities work is ongoing and the consultation will be meaningful. They are consulting businesses. In answer to a point from Cllr Davis concerning consultation process under Traffic Orders, Cllr Loakes replied that this is a consultation not a referendum. 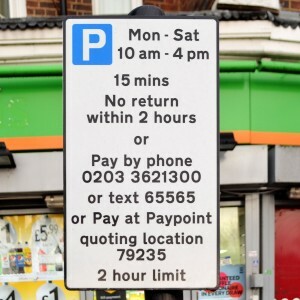 One questioner commented that Epping and Loughton have a 15 minute free parking and another questioner asked if there were any plans to change the hours of operation. Karen Naylor confirmed there was no change to the time of operation. In answer to a question as to whether one scheme would be appropriate for the High Street Area, Leytonstone and North Chingford, Cllr Loakes said it would. Cllr Davis put forward a motion to return this to the Cabinet which specified four areas to be addressed. No one seconded the motion. A second, motion to bring this back to the scrutiny committee following the consultation to be published in Waltham Forest News was agreed. Various members of the public gallery and those speaking left before the meeting closed. A petition is support of keeping the 15 minutes gained 4,500 signature which would mean that this parking issue would have to be discussed at a full Council meeting. The petition gained about 6,000 signature but only 4,500 were from Waltham Forest residents.